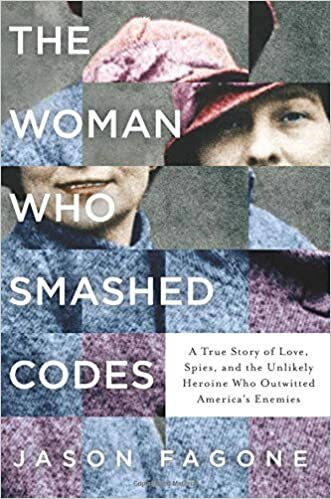 The Woman Who Smashed Codes: A True Story of Love, Spies, and the Unlikely Heroine Who Outwitted America’s Enemies – loudlatinlaughing – Euge! Euge! This started out strong but whimpered out. It’s the story of Elizebeth Smith Friedman who was instrumental in codebreaking during the two great 20th century wars. Elizebeth met her husband William on a private estate, both paid researchers for millionaire George Fabyan, Elizebeth paid to prove that a code embedded in Shakespeare shows his works were written by Bacon. The pair marry and end up becoming the best codebreakers in the U.S., working side by side. Of course, only William was recognized and promoted to high rank… at least until his mental breakdown. Elizebeth carried on, supporting him and the children and running her own codebreaking crew out of the Coast Guard during Prohibition, then being swept into the Navy during WW2. She caught some Nazis and all of the credit was slurped up by J.Edgar Hoover. I did appreciate that the author devoted a lot of space to showing how the codes worked and including examples. The petering-out of my interest was caused by his constant wide-eyed amazement that such an amazing woman could be swept under the rug of history until he came along to shine a light on her archives.